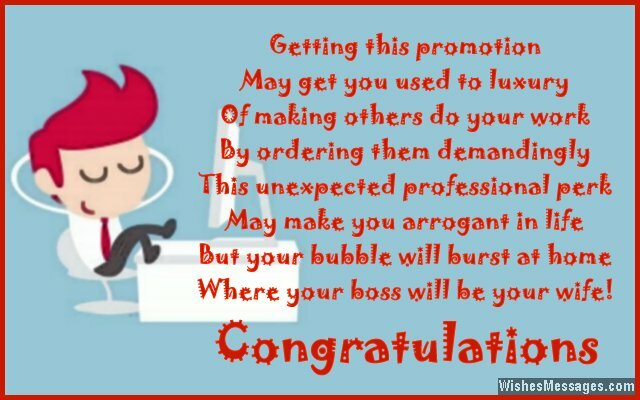 Congratulations for Job Promotion: Whether it is for a colleague, boss, husband, wife or friend – a sweet congratulatory note for being promoted at work is a must. If you want your wishes to stand out, write a cute poem on a greeting card. Think of all the inspirational and motivational things you can say and weave them up in a short rhyme. 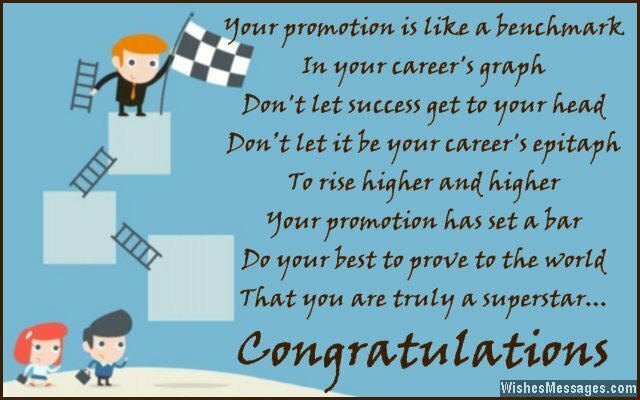 Take ideas from this post to write your own original poem and wish the newly promoted lots of good luck in their new position. Let them bask in the sweet hues of success. 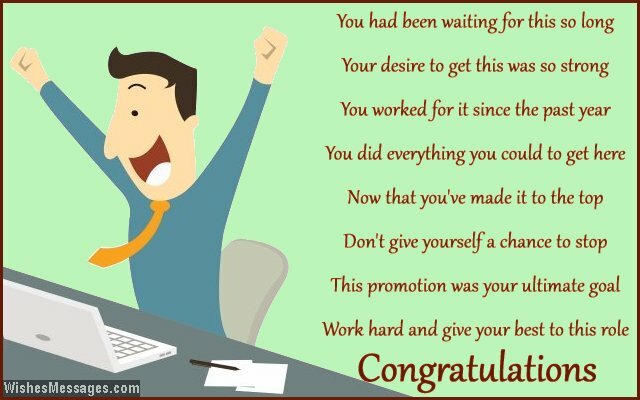 Your cute messages will go a long way in motivating them to giving their new roles their best shots.